I'm pleased to share that The Art of Disney now offers brides the opportunity to bring home a little magic from their big day- in the form of a Disney's Wedding Pavilion print! 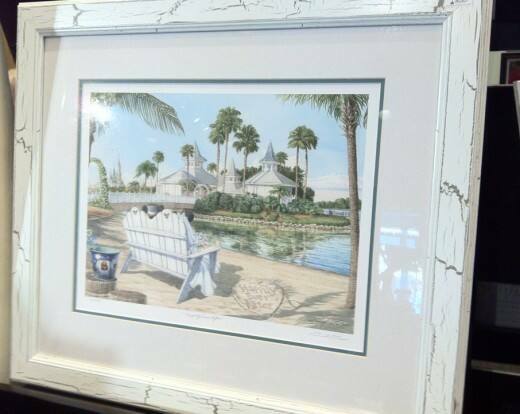 Internationally established and longtime Disney artist David Doss has created a unique, breathtaking print that captures both the style and elegance of Disney's Wedding Pavilion. Happen to be visiting us today? Be sure to stop by Downtown Disney as David himself will be signing prints from 11am-1pm at The Art of Disney. Let the memories begin!